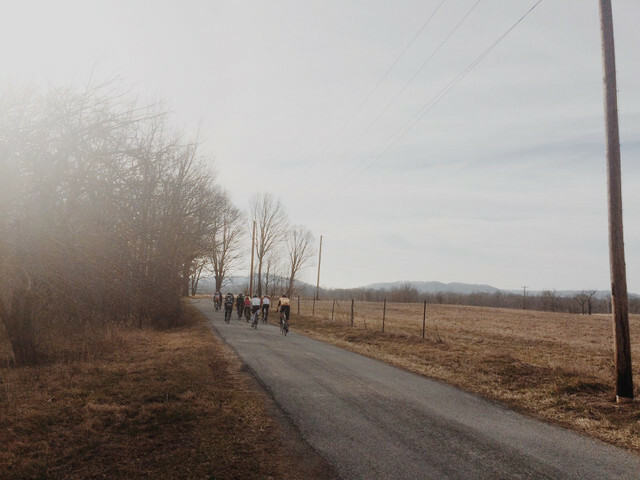 The 7-Caves Dirty Road Ride travels to the hilly terrain surrounding Rocky Fork Lake, With a taste of Amish Country this ride winds through scenic points of interest, such as Fort Hill State Memorial, Pike State Forest, Copperas Mountain, and Highlands Nature Preserve. 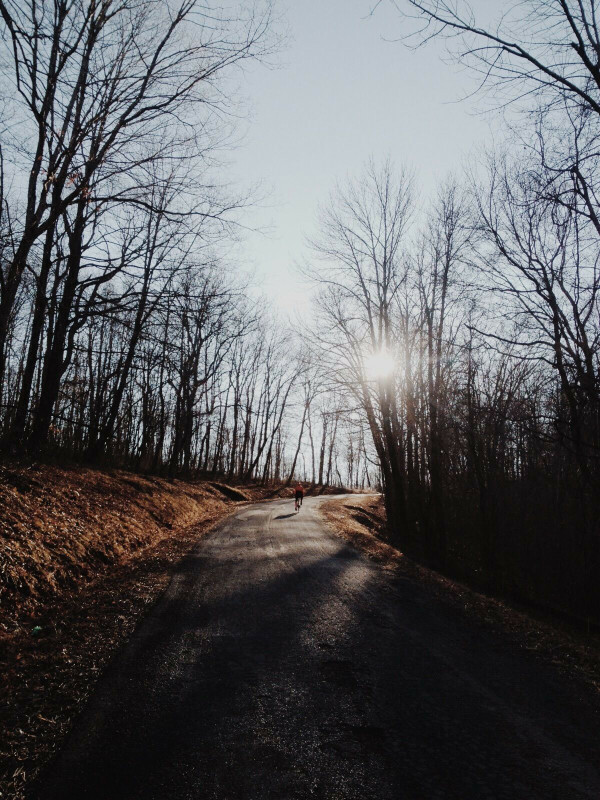 This multi-surface route follows the roads less traveled, along narrow winding roads, long switch-backed climbs, and screaming descents over everything from thick and hard-packed gravel roads, smooth paved roads, and rough, uneven pavement. ## Start and End Location This route starts from the [E Shore Parking Lot](https://www.google.com/maps/place/E+Shore+Dr,+Hillsboro,+OH+45133/@39.1931896,-83.4357082,879m/data=!3m2!1e3!4b1!4m2!3m1!1s0x88472896d21060f9:0x341da0e9b9639e84) of Rocky Fork Lake. There are bathrooms in the parking lot, but there is no running water. ## Points of interest * @point[Fort Hill State Memorial](d,13355.64) * @point[Pike State Forest](d,47543.65) * @point[Copperas Mountain](d,64696.45) * @point[Highlands Nature Sanctuary](d,94572.61) ## Road Conditions * Smooth Paved Roads - 50% * Rough Paved Roads - 25% * Gravel Roads - 25% ## Food and water * @poi[Marathon Station in Latham](946958) - Don't stay for long, there is a big hill next. 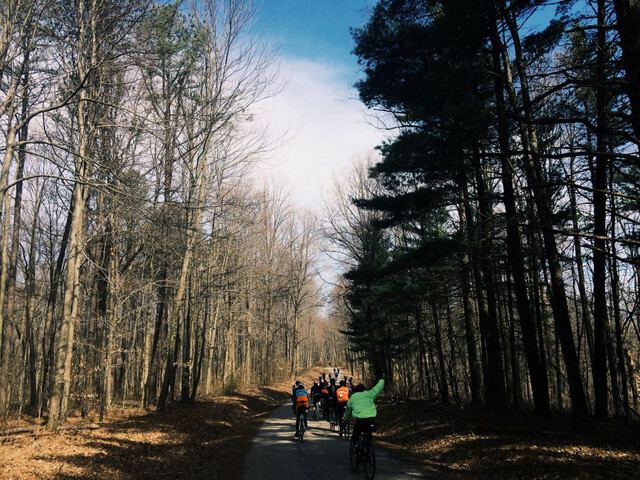 * @poi[Optional detour to the Schell Station](946959) in Bainbridge * @poi[Cynthiana Market](1037788) in Cynthiana ## Direction We recommend riding the route counter-clockwise to enjoy long, gradual, scenic climbs and fast flowing descents. 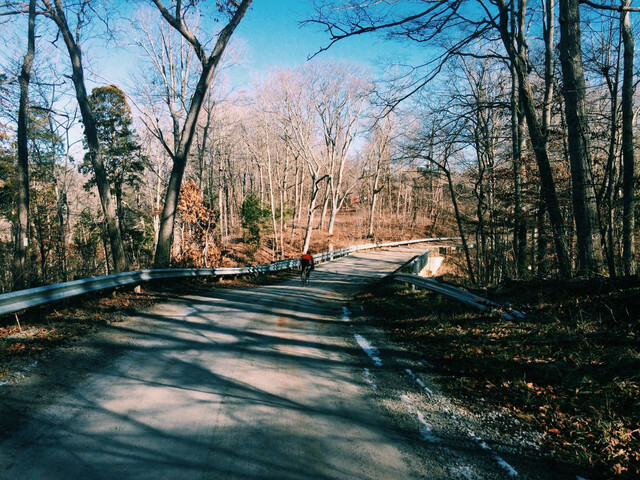 Going the clockwise direction will include steeper climbs. ## Dogs There have not been any specific issues with dogs on this route, however, there is always the potential of loose or chasing dogs in this area. Sarah Swallow would love your help bringing this route to a wider audience. 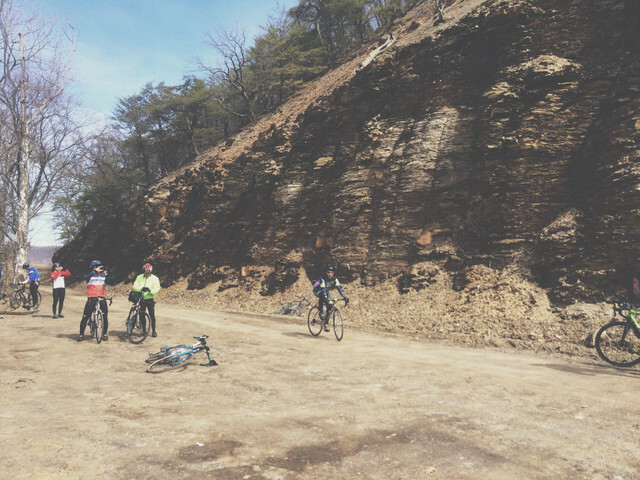 A remote ride through Shawnee State Forest along narrow gravel forest roads and logging roads.